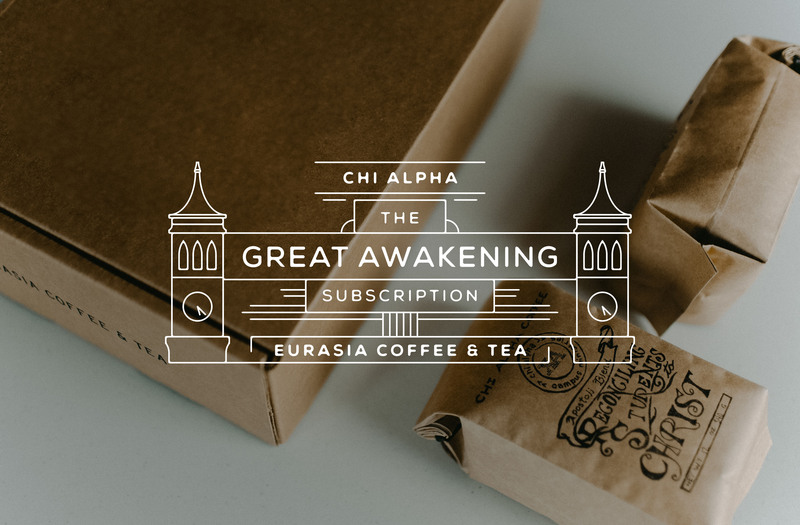 In partnership with Chi Alpha, we’re thrilled to announce “The Great Awakening” Coffee Subscription! Each box will include Chi Alpha’s Apostoloi Blend coffee – a delicious, full-bodied Ethiopian coffee. The subscription will also highlight a rotating partner for whom we will source and roast a single-origin coffee for. Said coffee, a unique gift from said partner and inspiration cards are also included in each box. “The Great Awakening” subscription goes out every 2 months with the first shipment going out November 1, 2018. The subscription cost is $29 per 2 months (valued at $35+!) with a flat $5 shipping fee. Sign up before October 26, 2018 and get free shipping with code “TGA2018”!